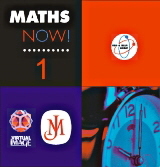 Maths Now! offers the opportunity for endless practice at answering problems against the clock. Upon completion of a set of problems, pupils can print a certificate of achievement. The questions are randomly generated by the program, so there is always a new set of questions available. Designed for Key Stage 3 by David Benjamin and Justin Dodd, the UK’s leading experts on the use of software in the classroom.